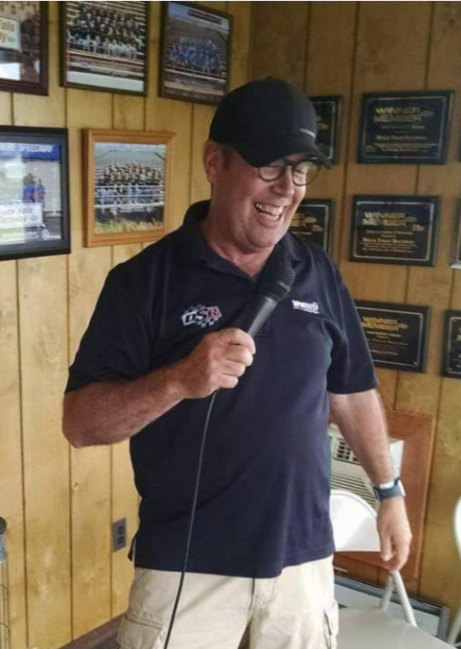 Steve Quien has been involved in just about every area of operations possible when it comes to a racing event. With 40 plus years of experience in the racing world. Steve Quien has done everything from operating a Race Facility, SFI Technical Inspections, Maintaining and Operating Various Industry Timing Systems at various Events, Event Parking, as well as Announcing many Venues, including NHRA National Events, Lucas Events, and Sportsman Bracket Racing Nationwide. "Steve Quien will bring vast amount of experience to our team. I especially like his extreme knowledge on Accutime and Compulink Timing Systems, this will be huge for SFG to insure all timing systems are operating efficiently and fairly for each SFG Competitor!" Stated A.J. Ashe of SFG Promotions. Kyle Riley also added, "Steve is very knowledgeable and a wealth of experience in this industry. He also has great ideas and will be a big addition to our team. SFG is constantly trying to build and improve our brand to give racers the best, most enjoyable, and of course largest paying races for its customers." Looks like the future including 2019 just keeps getting brighter for SFG and the Racers! 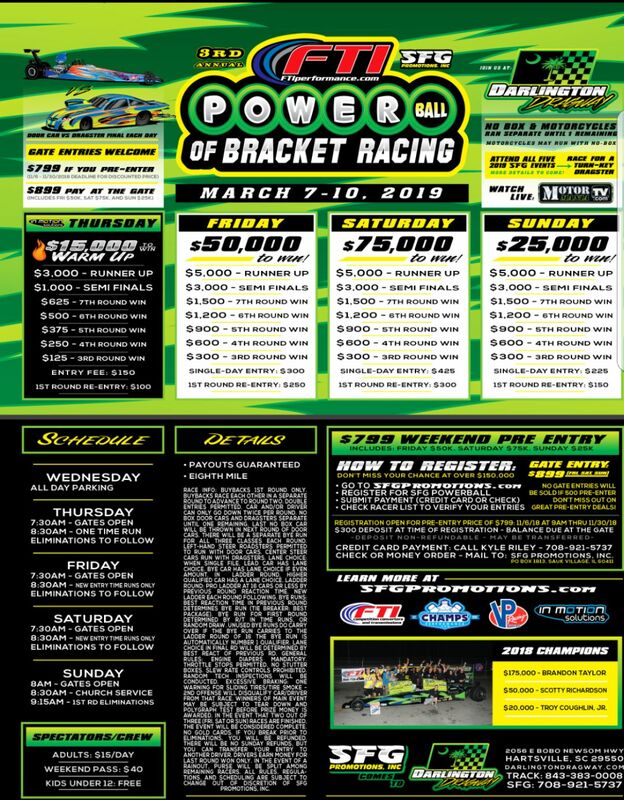 SFG Promotions kick off their 2019 campaign at the "Legendary" Darlington Dragway on March 7-10th with the FTI Performance Powerball of Bracket Racing!